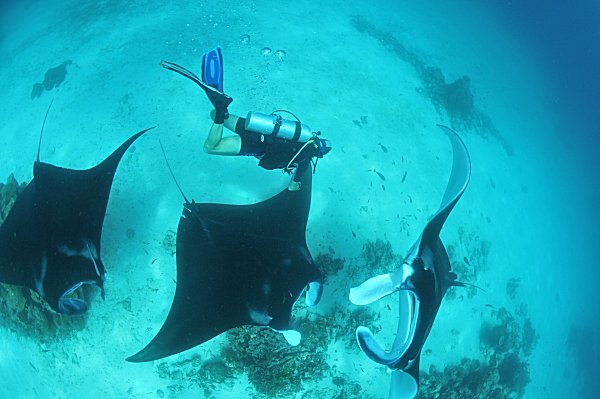 Tommy from Asia Divers dancing with Manta Rays. | . 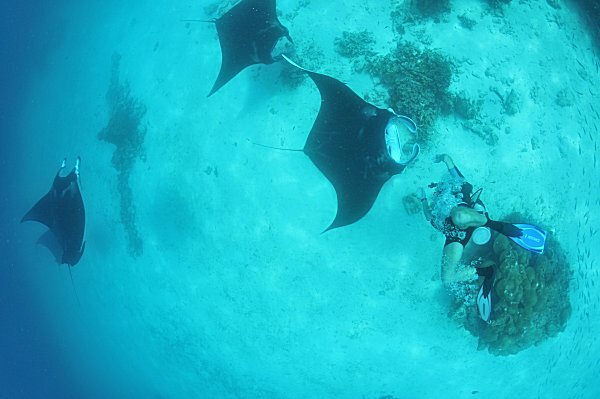 Tommy from Asia Divers dancing with Manta Rays. 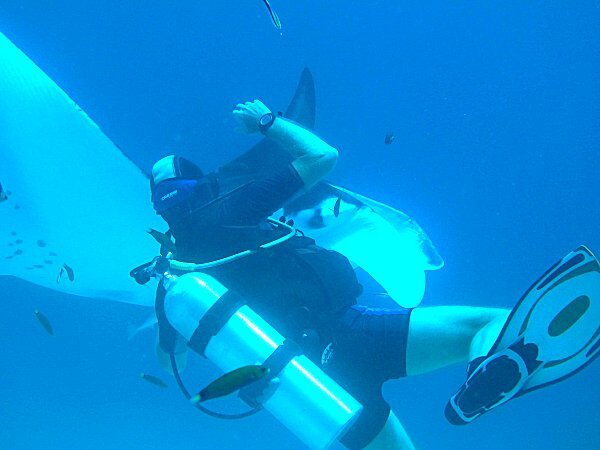 Sharing space with Manta Rays. I’m one of the lucky guys who has had the pleasure of diving with Manta Ray’s in big number on a few occasions both on the island of Yap and also in the Maldives. Last month I spent 12 days on a live-aboard in Raja Ampat, West Papua to get the opportunity again to dive with a group of amazing those animals. Such a privilidge to share thee. span around and in the same time twisted a bit to get a better view as they passed. This movement seems to trigger an interest in the first ray as she turned around with the black one followed close behind. She got right up to me and had a good look at me, its something else when you look right into the eye of such a big animal half a meter away. Now the dance started and for the next 6-7 min we span around, swam belly to belly (mine being bigger thanks to San Miguel and Bintang beer). She was right on top of me to a few seconds later right below me. Our friend, the black one followed nicely behind and more then once gave the two animals me a gentle tap with their wings. I was so close most of the time that I could easy touched them but of course I didn’t, I was there with their approval not to be misused. The rest of the group of divers just watch the dance and fortunately there was more than one photographers in the group so I have plenty of pictures. You can see some of them here, thanks to Lee Black and Helmut Trinczek-Gaertner. This entry was posted in Travel by Asia Divers. Bookmark the permalink.